Have you ever wondered how to get involved, serve your community and have fun? Citizens on Patrol is just what you are looking for! 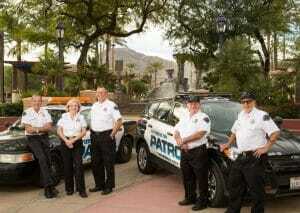 Currently Citizens on Patrol (COP) consists of 23 unpaid volunteers. 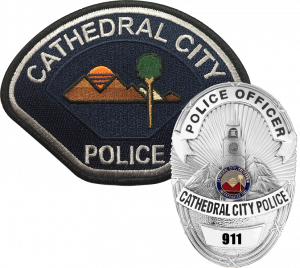 The Cathedral City Police Department’s Citizens On Patrol is a tremendous help to the police department and the community. You may see our COP car driving through your neighborhood looking for graffiti, towing abandoned vehicles, or directing traffic at a traffic collision. New opportunities are opening up for COP to assist the department every year. All COP personnel receive special training from sworn police officers and attend monthly meetings. When out on the streets COPs are an extra set of eyes and ears for the police department as well. 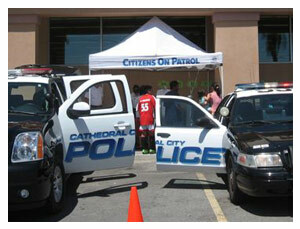 Cathedral City Police Department Citizens on Patrol are a tremendous help to the department in so many other ways. If you would like more information on the Citizens On Patrol, please contact Sgt. Larry Sanfillippo by email or phone at (760) 770-0306.